Anyone who has seen it happen knows that a doll has the power to soothe and comfort people with Alzheimer’s disease. Formal investigation of the effects that dolls can have on people who have Alzheimer’s disease is in the early stages, but talk to caregivers who have participated in doll therapy for dementia and most of them will speak positively about the experience. Dolls have been shown repeatedly to soothe and comfort people with Alzheimer’s. Although it can be discomforting to see an adult hold a doll, we need to acknowledge the benefit that doll therapy can provide. We probably get more feedback from customers concerning doll therapy for Alzheimer’s disease (and doll therapy for dementia) than any other category of care. Elaine (below) shared the cost of one of our Serenity Babies with her brothers and sisters so they could give this beautiful doll to their mother. I was speaking to my parents today, and my Mom went on about how much she loves her Doll (Luca). Her new name is Eva, my Mom’s second name. My Dad is totally amazed about the joy it is bringing my Mom. She takes it visiting in the community and lives to change her outfits. Eva is truly a blessing. Thank you so much. And, please thank the person who did such a beautiful job of creating such a wonderful doll that is so life like. Much of the research involving doll therapy for Alzheimer’s disease has been carried out at Newcastle General Hospital in England and in care facilities in the area of Newcastle. Clinical Psychologist Ian James and nursing specialist Lorna Mackenzie, with others, reported significant improvement in the behavior of nursing home residents with dementia when dolls were introduced to the residents as a choice. The Ultimate in Doll Therapy Serenity Babies promise to take doll therapy to the next level. These extremely lifelike dolls are handmade by craftsmen using only the finest materials. Each doll is made individually, by hand, so every doll is unique. The results of the study provide support for the hypotheses that after the introduction of dolls, doll-users showed an increase in positive behaviour and a decrease in negative behaviour and incidents of aggression compared with before the dolls were introduced. These results support previous attitudinal studies, which have reported doll therapy to be an effective approach in reducing negative and challenging behaviours, and promoting more positive behaviours and mood. These conclusions are in agreement with so much anecdotal evidence reported by caregivers that credit doll therapy with increasing quality of life for people with dementia. Some have even reported that they were able to reduce medications as a direct result of doll therapy. A study³ published in the journal Age and Ageing concentrated, in part, on caregiver reaction to the introduction of dolls into the care environment. Residents with dementia in two facilities in England were introduced to dolls. All of the caregivers in the facility were given surveys before and after the study. Although nine of the 46 staff members voiced some initial concern, mostly centering on the idea that the dolls would be ‘babyish’, ‘ totally demeaning’, ‘ patronizing’, or otherwise ‘inappropriate’. In the interview that followed the conclusion of the study, only one caregiver retained this concern. All of the others “felt that there were clear benefits of using the dolls. . . . 14 carers felt that residents’ lives were a little better, and 32 felt that their lives were much better. Benefits reported by the staff included a calming effect, reduction in wandering, increased communication and improved speech. Many of them expressed the opinion that the effect was the result of the individual now having a sense of purpose or focus. One caregiver said of a resident, “He’s a different man with a doll in his hand. I found out more about him—the tender side”. The nurturing instinct is strong. This instinct is a big part of the reason that doll therapy is so effective, but it can lead to some problems that should be watched for when introducing dolls as therapy. In community settings, ownership issues have led to arguments between residents. Anxiety can result from dolls being mislaid. Redirecting attention until the lost doll is found will usually defuse this potential calamity. A question concerning the carers’ ‘initial impression of the use of dolls when they first heard about them’ had intended to capture staff’s misgivings. Three staff reported major concerns, six had minor concerns, 16 were neutral, six were mildly positive and 15 were very positive from the outset. .. 13% of carers recorded that they had misgivings—carer quotes included: ‘Thought it was babyish’; ‘. . . totally demeaning’; ‘. . . patronising’; ‘inappropriate . . ., thought it would confuse residents further..
but having seen the way residents react when using the doll opinion has changed’. * We should repeat here that doll therapy is not for everyone. If you see that it is more problematic than beneficial, discontinue it in favor of some alternate non-pharmacological therapy. Doll therapy (also known as baby doll therapy) is not for everyone. More women than men will choose a doll to nurture, but some men do benefit greatly from holding a doll, so don’t rule out doll therapy for the man or men in your care. Another option to the doll is a Teddy Bear or other stuffed animal. We have a selection of bears and other animals that provide aromatherapy and heat and cold therapy as well as the therapy provided by the act of nurturing. Our best-selling Twiddle Pup and Twiddle Cats, in certain cases, would even qualify for doll therapy. Choose a doll that is lifelike. One that looks like a real baby, is 15 – 20 inches long, and weighs 3 – 6 pounds will get a much better response and result than one that is smaller or unrealistic looking, or one that looks like an older child. This is not to say that other dolls can’t be effective, but our recommendation is evidence based¹. We recommend a doll that represents an age from newborn to a year or so in age. Dolls that look like toddlers may work for some, but most people with dementia will connect better with a younger looking doll. Do not hand a person a doll – people don’t like responsibility imposed upon them. Place the doll where it can be discovered, or hold it yourself. Allow the individual to choose the responsibility of caring for the baby. Some people with dementia will think that the doll is a real baby. Others will know that it is just a doll, but love it just the same. Some will think it is alive one day, and know it is a doll the next. Be careful how you refer to the doll. If it has a name, refer to it by that name. There are potential drawbacks to doll therapy. It is not for everyone with dementia. Until a bond is created between the individual and his or her doll, be alert to behaviors that may indicate that a connection will likely not happen. There are other therapies and activities that may suit that person better. He’s a different man with a doll in his hand. I found out more about him—the tender side. It is important that a doll not be given directly to the person with Alzheimer’s disease. Rather it should be left somewhere, on a table or sitting in a chair, for example, somewhere that she will easily find it. This way the individual can make the choice to provide care for the doll, not feel that they are being given the responsibility to do so, which could cause anxiety or result in the doll being rejected. A pilot study on the use of dolls for people with dementia; Lorna Mackenzie Ian Andrew James Rachel Morse Elizabeta Mukaetova-LadinskaF. Katharina Reichelt. Age and Ageing, Volume 35, Issue 4, 1 July 2006, Pages 441–444. A study¹ reported in the Journal of Gerontechnology in 2001 actually used one of the Cuddle Baby dolls (pictured above). The study reported on the effects that dolls had on a group of people in a long-term care facility in Japan, most whom had dementia, and all who suffered from Sundowners syndrome. For the most part the dolls influenced behavior in a significant way; behavior classified as: “no reaction, close observation (of the doll), care giving, and communication with other patients.” There was a small group that seemed to be completely uninterested in the dolls, which reinforces our point that doll therapy is not for everyone. We monitored the activities of an individual patient with and without intervention with (a doll). She took extensive care of the baby doll during the intervention period. However, in the absence of the doll, she became agitated and tended to wander around, while during doll intervention she was calm and gentle. The study reinforces what we know, that for many people with dementia, doll therapy is a meaningful and effective intervention. A bonus is their finding that more realistic looking and feeling dolls were significantly better at soliciting positive responses, and our Cuddle Baby performed the best of three dolls used in the study! Gorgeous dolls! Unfortunately you have forgotten about all us Canadians! I just tried to order one of your dolls and did not find Canada on the list for shipping estimates. Not to worry as I am afraid with the original price of the doll, the exchange rate, and the shipping charge would way over budget for any senior. Glad you are doing the work you are doing to help the elderly…. but ….if my opinion counts, you may want to try to lower your prices if you are sincerely trying to help seniors, who in this country have a monthly government income of approx. $1500 dollars (CDN) while some are living in long term care facilities costing $2500.00 to $5000.00 monthly….thank you and keep up the great work on helping those of us who have parents with Dementia! We have not forgotten about our neighbors to the north. Unfortunately, we are experiencing some software issues that don’t allow our store to calculate an accurate shipping cost to Canada. We are accepting phone orders from Canadian customers at our toll free number – 877/300.3021. We are working on the programming and we hope to be able to make our online ordering process available to Canada very soon. Yes, our expensive dolls are very expensive. They’re handmade and take many hours to complete. We do have therapy dolls in a wide range of prices. You can see all or our dolls at https://store.best-alzheimers-products.com/alzheimers-alternative-therapy/dolls-for-dementia.html. All of our dolls are realistic; of course, the higher the price, the better the realism. There is evidence that the more life-like dolls get a better response and are more therapeutic. And we have a broad range of prices on other products as well, from just a few dollars to the Serenity Baby dolls. Have you known the dolls to be used for a younger woman with an intellectual disability who has not experienced motherhood? This is a very interesting question, Faye, and I don’t have a good answer for you. Nurturing does seem to be an instinct that is present in all of us, men and women, to one degree or another. I would guess it is generally stronger in women than in men, and strengthened in anyone who has raised children. There is a good chance that this woman will take to doll therapy and get some comfort from it, but I haven’t seen any research or reports that address this issue. Does this woman respond to pets? children? or even stuffed animals? These might be indicators of how well she would accept a doll. I suggest you borrow a doll and see how she reacts to it. Don’t give it to her, but leave it somewhere that she will find it. Her reaction to it should tell you what you need to know. Meantime, I am going to look for others who might have some experience in this. Thanks for that reply. Just to clarify, this young lady loves babies and animals very much but she has not shown any interest in regular dolls, teddy bears or stuffed animals. We will start as you suggest and leave a realistic looking doll around and see what she does. You’re right, Joan. Like almost everything else we talk about and recommend, how well it works depends on so many factors. Personality, stage, personal interests and history, etc. But when doll therapy works, it really works! I’m from the UK and “behaviour” is our way of spelling it 🙂 No idea where “behavior” came from, but it being British doesn’t explain it! Hi Tassie – Doll therapy is different from some of the other alternative therapies that we discuss. Music and art therapies have curricula and special schools where the disciplines are taught.There are even certifications and degrees. It’s not the same with doll therapy, partly because doll therapy is relatively easy. We call it a self-administering therapy. If a person responds well to the introduction of a doll, all that is necessary is that you make a doll available. That’s pretty much it.The individual’s nurturing instincts take over – and that’s the therapy. It can be an amazing thing to see, however. Can you please let me know where I can purchase the Dolls from. All of our dolls are available at our online store: https://store.best-alzheimers-products.com/alzheimers-alternative-therapy/doll-therapy.html (or Click Here) or by phone. 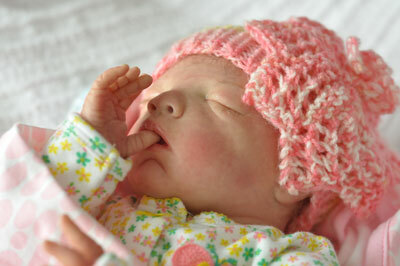 If you are interested in one of the Serenity Babies (the $800 dolls), please call – 877.300.3021. These are all custom made to your order, and we need quite a bit of information from you to make sure the doll is just as you want it.